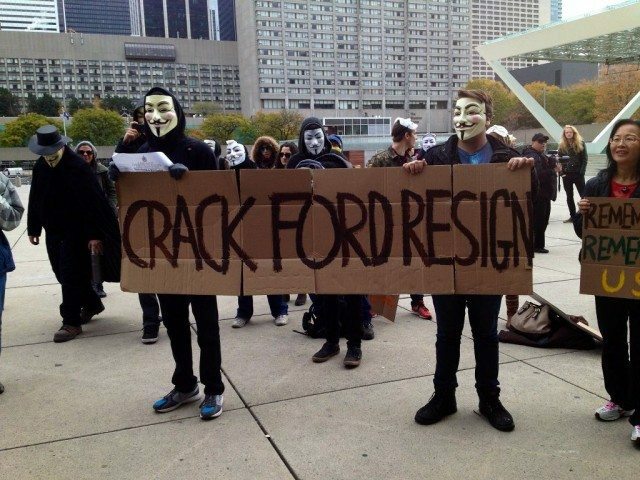 Mayor Rob Ford's crack admission already has a few people in the streets. 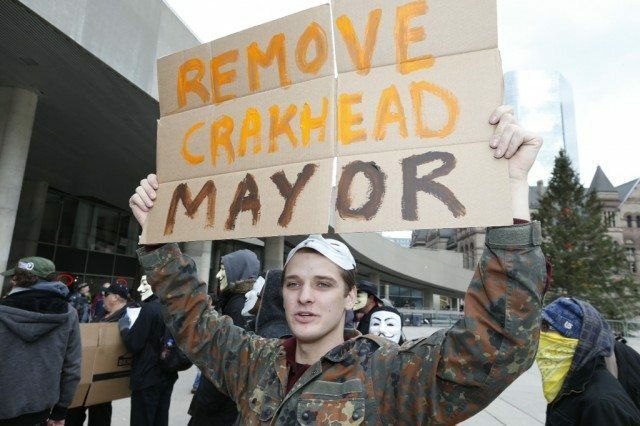 WHEN: Tuesday, November 5, 2 p.m.
WHAT: Following Mayor Rob Ford’s admission this morning that he has smoked crack, a handful of protesters made their way to Nathan Phillips Square, some of them in Guy Fawkes masks or other disguises. The mayor is expected to make an announcement shortly, but he hasn’t said what it will be about.